SCENAR technology and therapy started in Russia, but now is very popular in many other countries. SCENAR has such a good record track that it was even prescribed for the Russian astronauts to treat them in outer-space without any medical drugs. 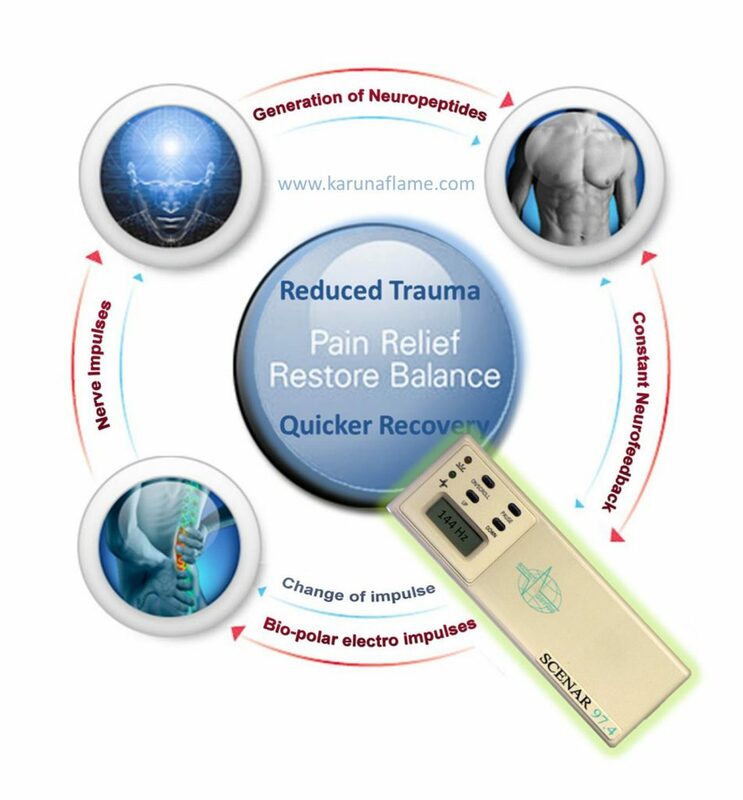 SCENAR is an abbreviation for the name of the technology and treatment – Self-Controlling Energy-Neuro-Adapting Regulator … or short-pulse electric neuroadaptive reflexological therapeutic stimulation (what a mouthful). 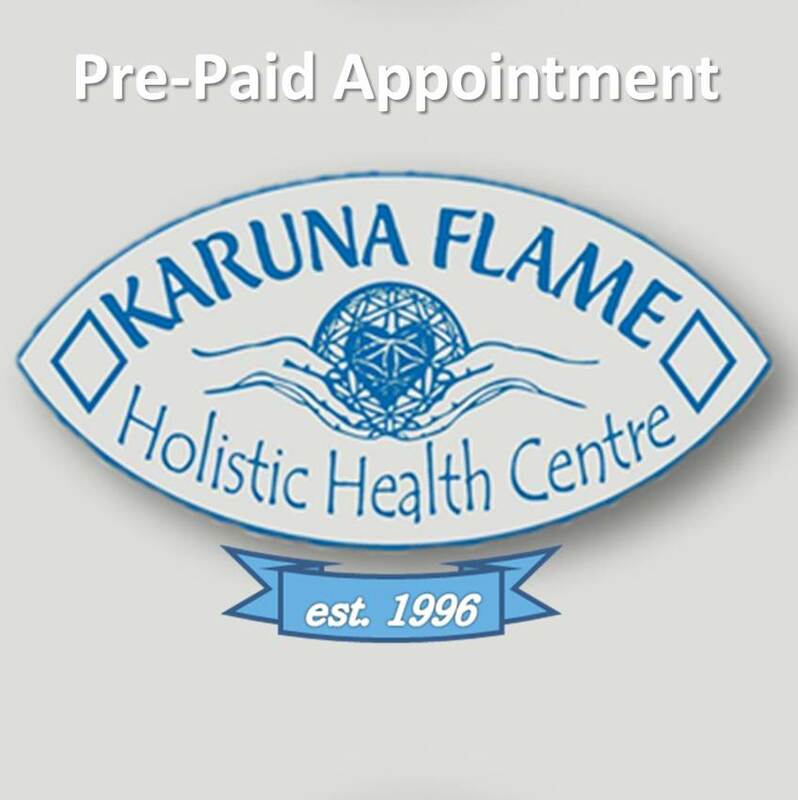 If you do not have credit/debit card or online PayPal account, please forward a Postal Order (leaving ‘pay to’ section blank, for the sum of Euro 12) to arrive at the Centre/Clinic not later than 3 days before the date of appointment. 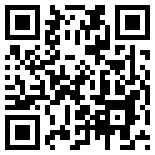 Please include your name, contact number and the test and/or treatment, that you are booking for. It is not recommended to combine SCENAR-therapy with medications disturbing self-regulation (antibiotics, anti-inflammatory, hormonal, chemotherapeutic and many other medications), though SCENAR will decrease their negative effect and allow you to reduce the dose one third or one quarter of the necessary one. SCENAR jumps starts self-regulation, so it is pointless to use medications to suppress self regulation and SCENAR together. SCENAR-therapy provides normalization of the body when it malfunctions. SCENAR provides a quicker course of treatment and pronouncement of pathological processes, with considerable improvement of general condition and well-being. The primal action of SCENAR treatment is upon the skin with peculiar micro-electric pulses modifying together with the change of the skin condition that provides application of feedback and, as a result, causes reactions aimed at restoration of the lost functions. While regulating unbalanced body systems, SCENAR brings to a norm everything that is restorable. 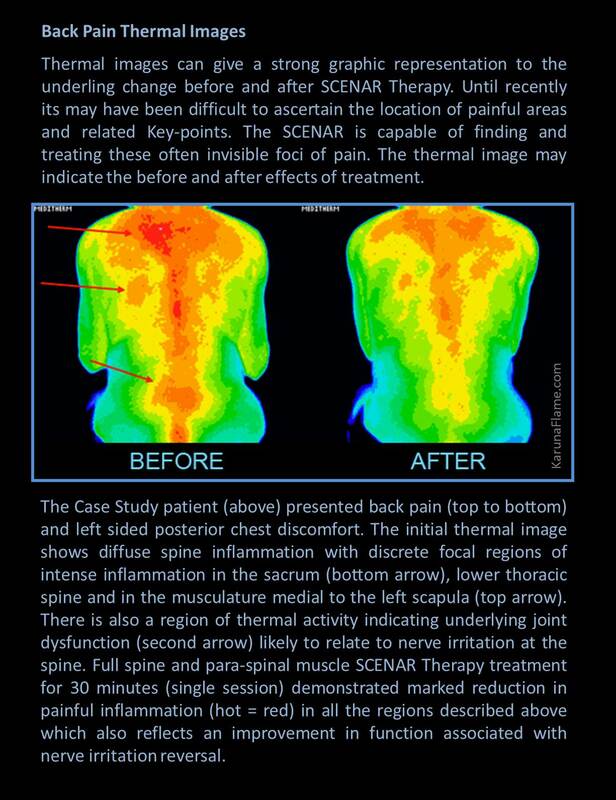 SCENAR therapy produces no negative impact and the effect of action remains for quite a long time after the treatment has been finished. Recovery is possible due to restoration and harmonization of the inherent body reserves, and not by suppressing defense and adapting mechanisms of the body that mostly results in severer forms of diseases or lingering course of the basic disorder. SCENAR does not affect systems that are functioning correctly. Gorodetskyi I G, Gorodnichenko A I, Tursin P S, Reshetnyak V K, Uskov, O N: Non-invasive interactive Neurostimulation in the post-operative recovery of patients with a trochanteric fracture of the femur. J Bone Joint Surg [Br]2007;89-B:1488-94. Pyne-Geithman G, Clark J F, InterX elicits significantly greater physiological response than TENS: Lymphocyte metabolism and Cytokine production. Presented as a poster at IASP 2010, Montreal, Canada. Aug. 29th 2010.